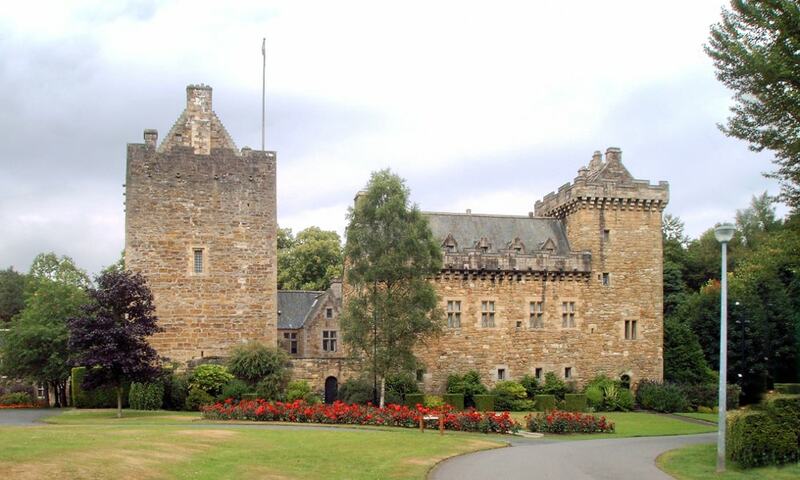 Dean Castle was the stronghold for the Boyd Family, who were lords of Kilmarnock for over 400 years. The collections of arms and armour are on display in the Great Hall of the keep and musical instruments are on display in the Solar of the keep. The banqueting hall displays many items owned by East Ayrshire council including Kilmarnock Edition of Robert Burns poetry and many works of art.